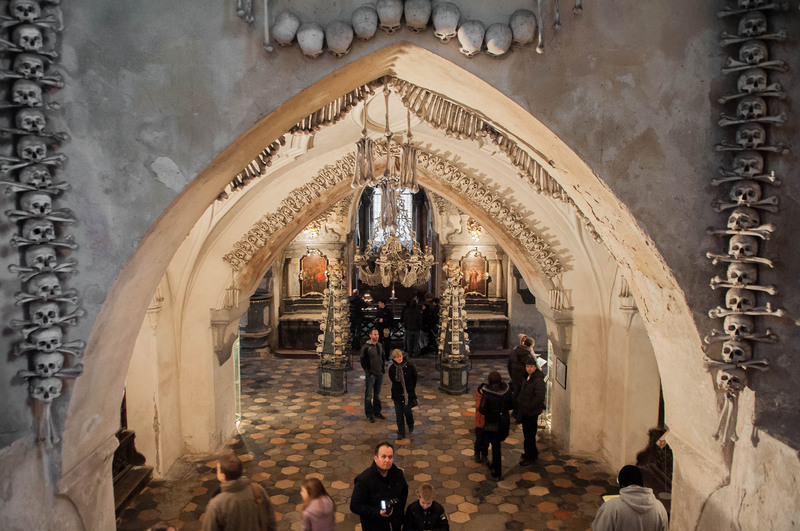 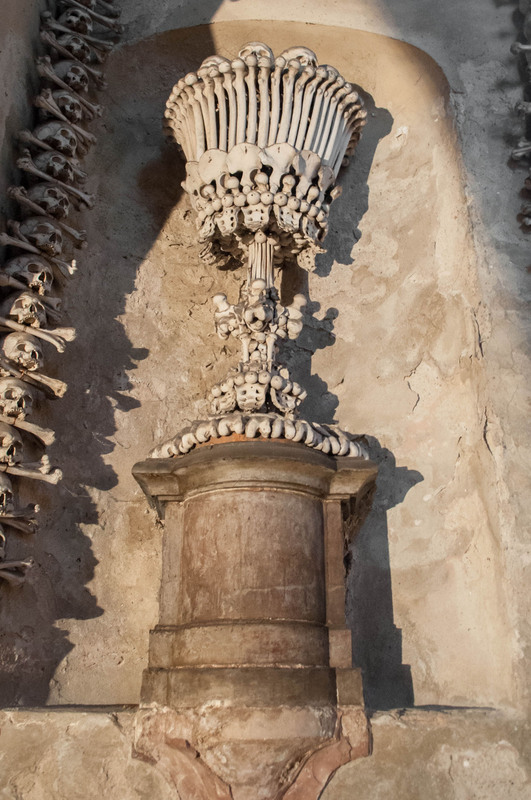 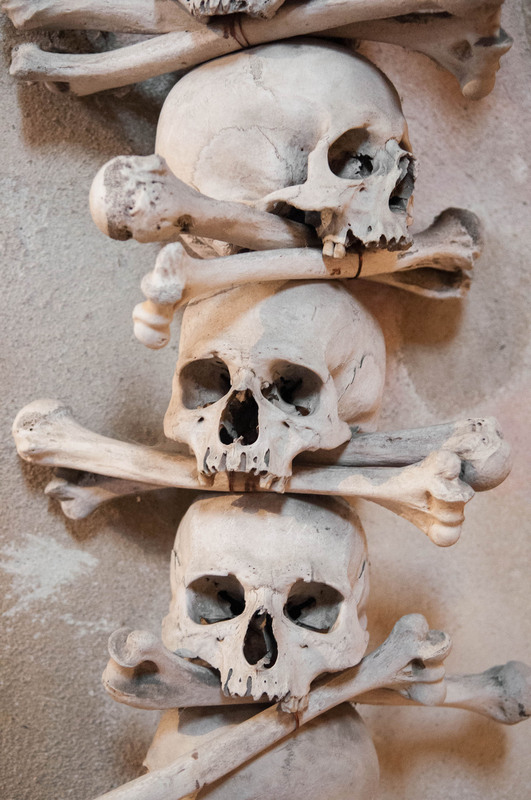 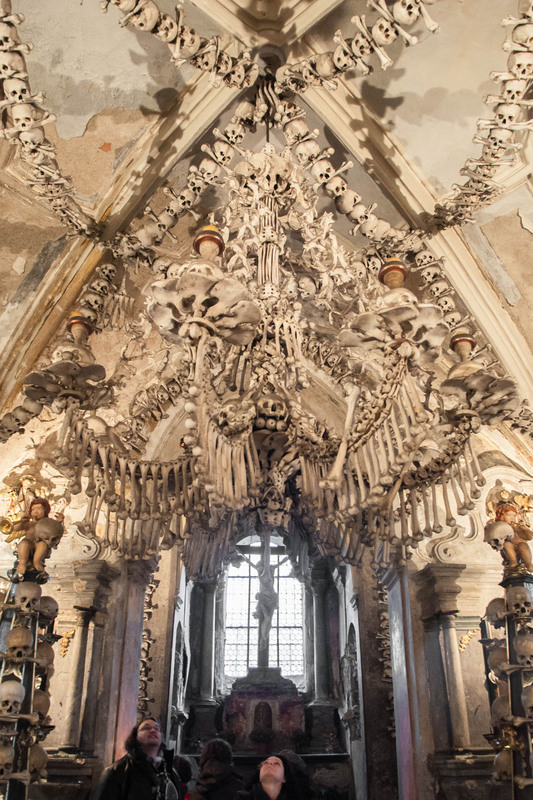 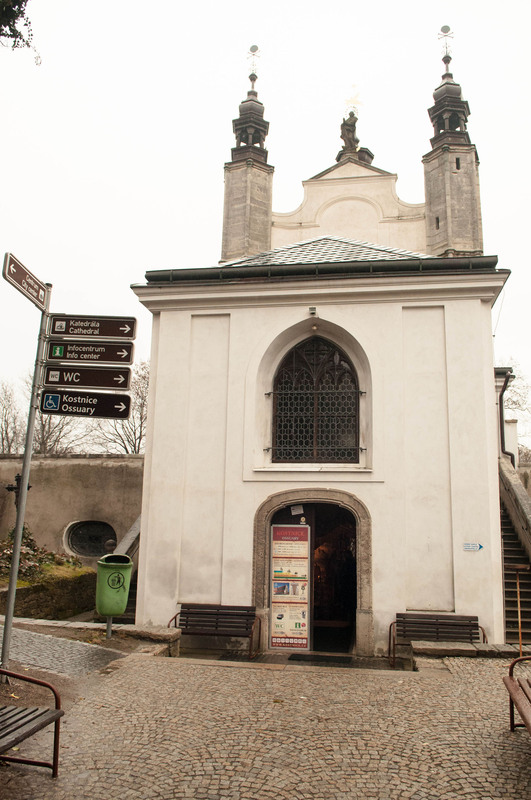 Known as “The Bone Church”, the Sedlec Ossuary (aka Kostnice Ossuary Beinhaus) is a small Roman Catholic chapel located in a suburb of Kutná Hora in the Czech Republic. 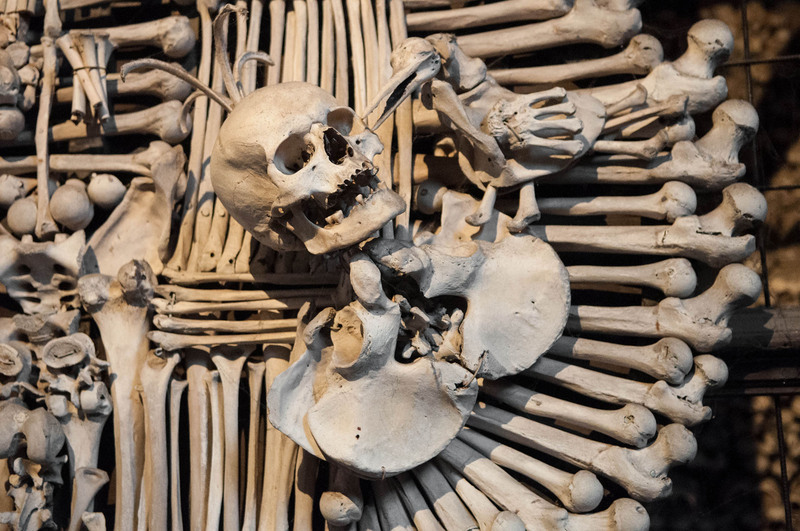 Within, lies an estimated 40,000-60,000 bones decorated into splendid, bone chilling art. 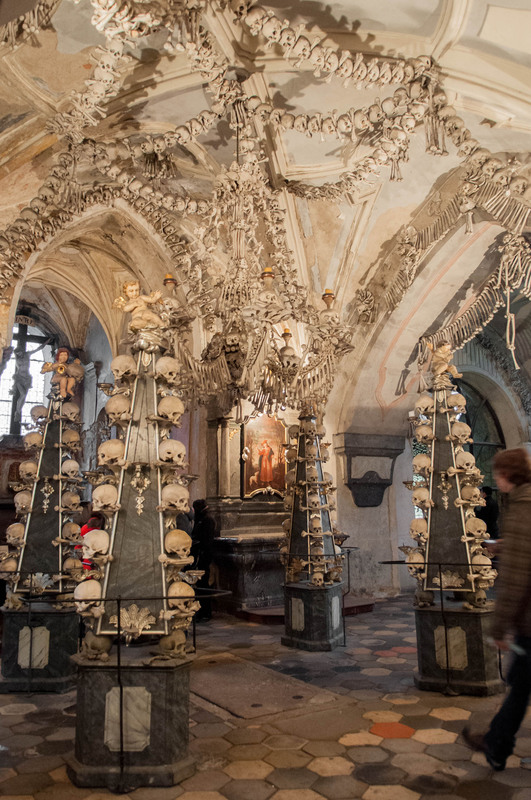 Including the stunning chandelier designed from almost every human bone in the body, the ossuary is furnished with other macabre art such as the six huge bone pyramid of skulls, two bone chalices, four baroque skull candelabras, and garlands of (yes, more) bones draped across the vault. 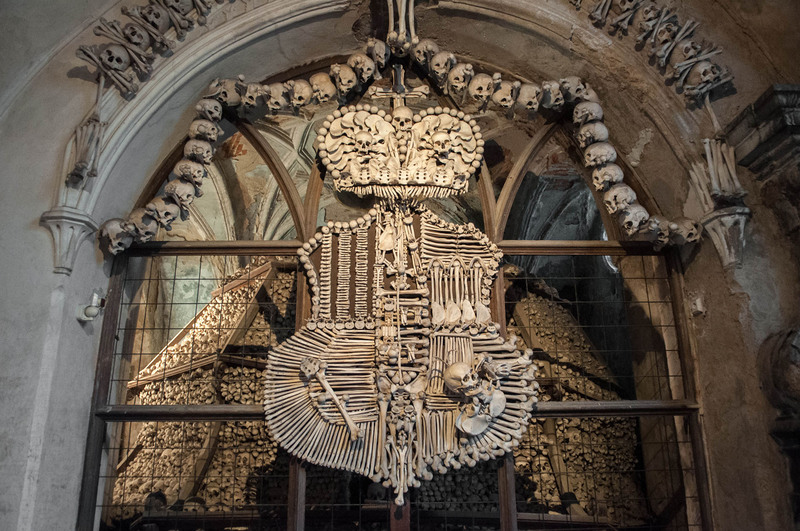 My personal grim favourite is the Schwarzenberg coat of arms complete with a raven pecking the eye of severed head of a Turk. 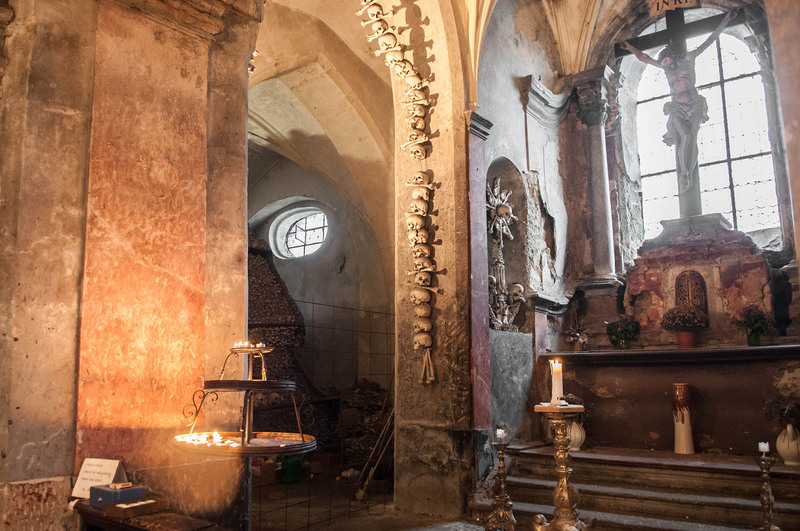 History of the Sedlec Ossuary began in 1278 when Abbot Henry of the Sedlec Monastery scattered “holy soil” from Golgotha (where Jesus was crucified) across the abbey cemetery, which marked it as one of the most desired burial site for people all over Central Europe. 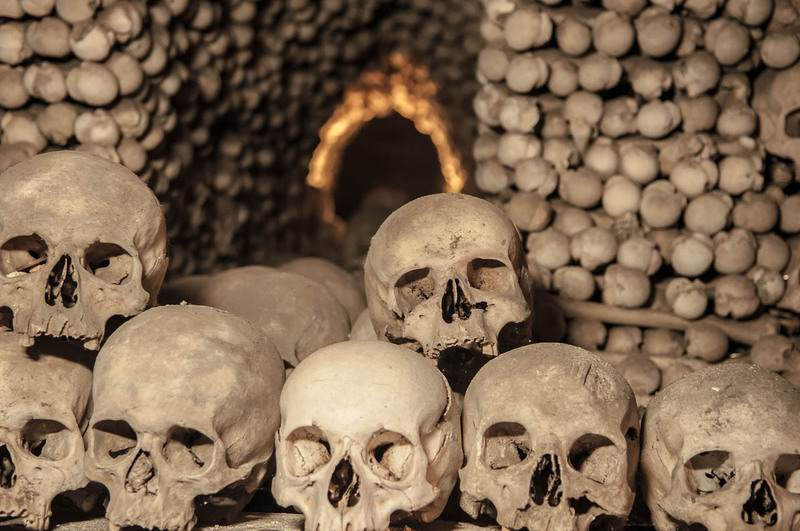 Not long after, more than 30,000 found its resting place within the cemetery and to make room for the newly dead, bodies were moved into the crypt. 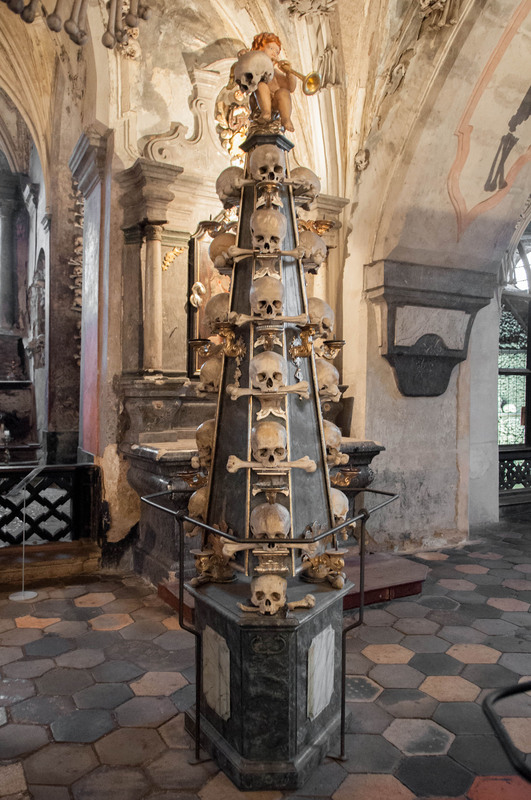 The story continues that in 1511, a half blind monk stacked the bones into pyramids, but it was František Rint, the woodcarver, who was commissioned the grave task of redecorating the thousands of bones. 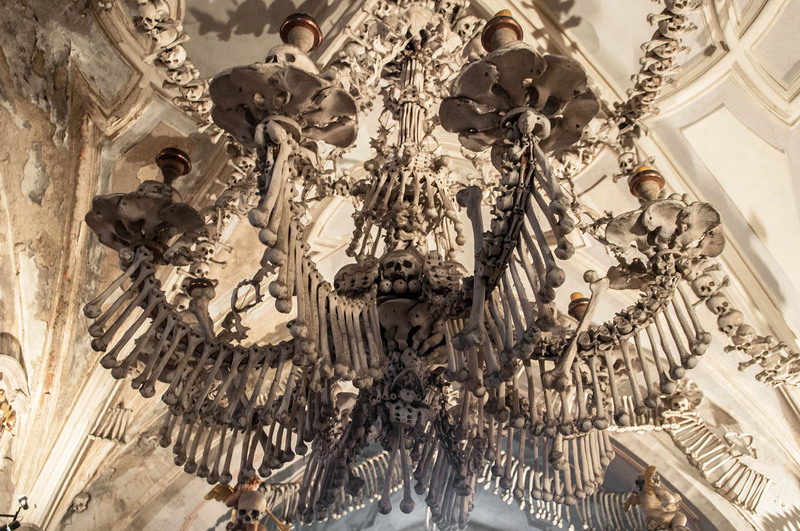 Rint’s artistic talent led him to create the grand chandelier amongst his other works of art found in the chapel today. 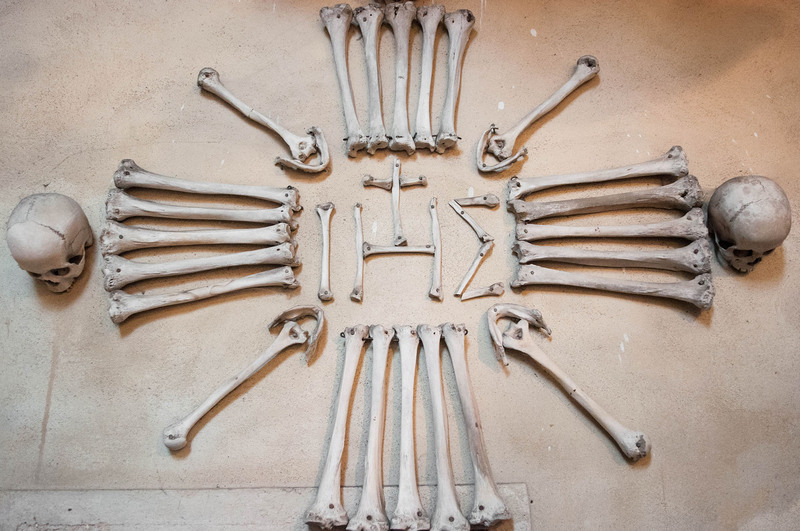 To ensure a uniformed look across the chapel, Rint even bleached the bones. 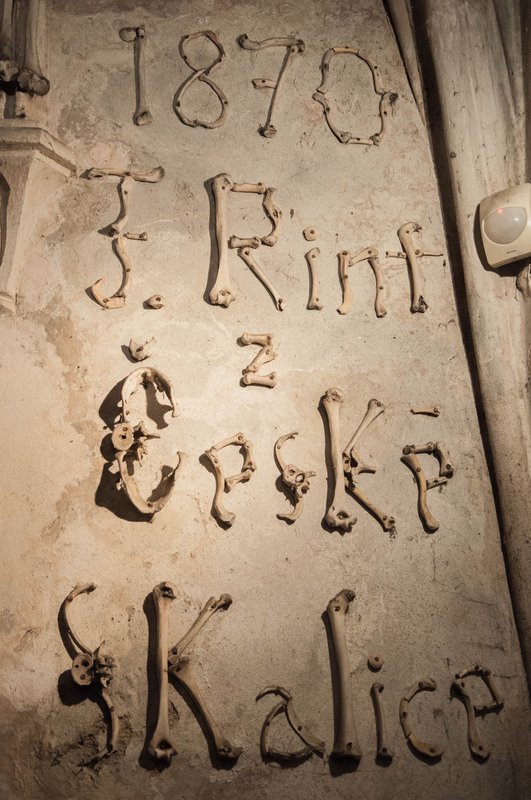 Today, his artist’s signature remains up the wall alongside his other creations, composed in his unique medium of choice, bone.